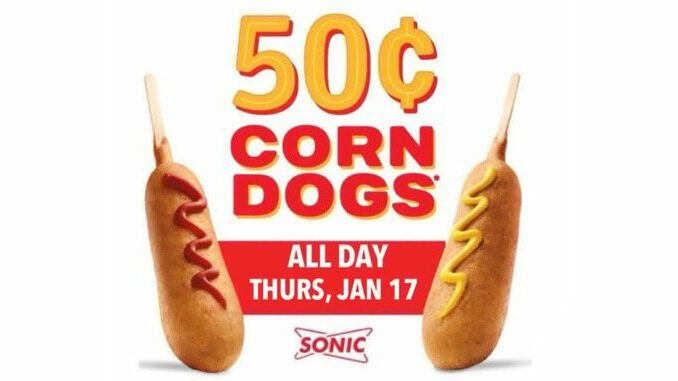 Sonic is running a one day promotion on Thursday, January 17, 2019 where you can get Corn Dogs for 50 cents each. 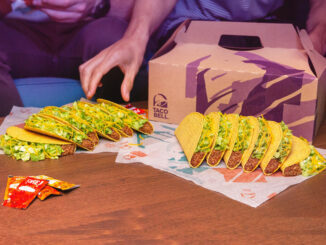 In order to take advantage of the offer, simply text “NOM” to 876642 to validate the deal. Once you do, just stop by any participating Sonic location on Thursday, show your text validation, and you’ll be able to score the deal. Incidentally, the offer is being made with no limit on the number of Corn Dogs you can get at the discounted price. Sonic normally prices their Corn Dogs at around a buck or so. Sonic’s Corn Dog features of a hot dog on a stick dipped in sweet corn batter and deep-fried until golden brown.